Two weeks ago, Kevin Uno was on a field expedition in Kenya when he got a message he'd been hoping for: the NY Department of Environmental Conservation had officially approved his request to sample some ivory that had been confiscated from retail stores in the U.S. The Lamont-Doherty Earth Observatory geochemist and his colleague, University of Washington research professor Samuel Wasser, use radiocarbon dating and DNA testing to determine when and where an elephant was killed; sampling this recently seized ivory would be an opportunity for them to find out whether it was recently harvested, and help law enforcement target the poachers responsible. The catch? 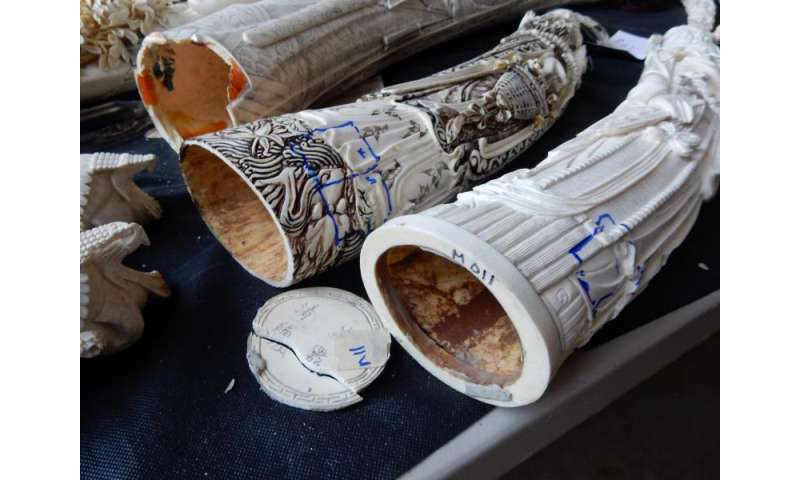 Sampling had to be done before August 3, the following week, when the ivory—2 tons of it, valued at approximately $8 million—would be publicly destroyed at an Ivory Crush in New York's Central Park. 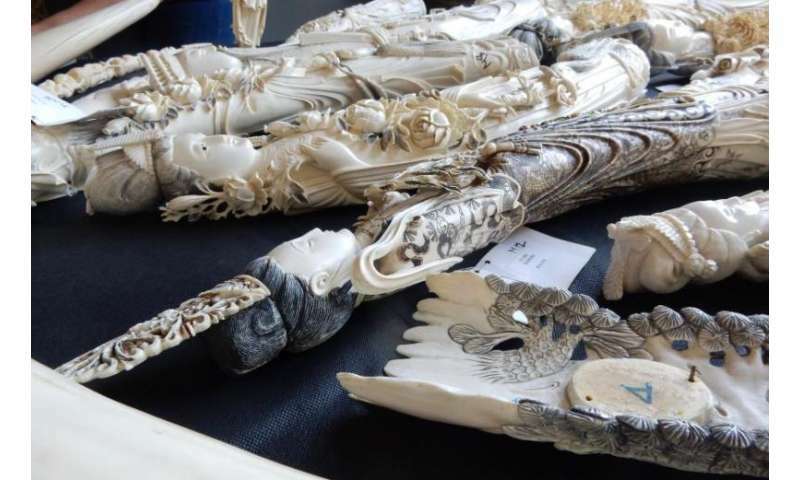 On August 1, Uno, Wasser, and Wild Tomorrow Fund's John Steward and Wendy Hapgood visited the DEC warehouse, bringing a selection of the confiscated ivory to Lamont-Doherty Earth Observatory. This is the first time that the team has been given permission to sample and test illegally trafficked ivory seized from vendors in the United States; Uno and Wasser have previously sampled ivory seized while in transit from Africa to Asia. "Most of the shipments being seen at ports in Asia are coming from Africa," Hapgood explains. "They haven't made any major seizures coming into the U.S., so something that will be interesting in this study will be to see if any of it is new, because that will prove that it's getting in somehow." Uno developed his radiocarbon dating technique for tusks in a 2013 study published in the Proceedings of the National Academy of Sciences (PNAS). Due to nuclear weapons testing in the 1950's and 1960's, the earth's atmosphere saw a spike in radiocarbon. 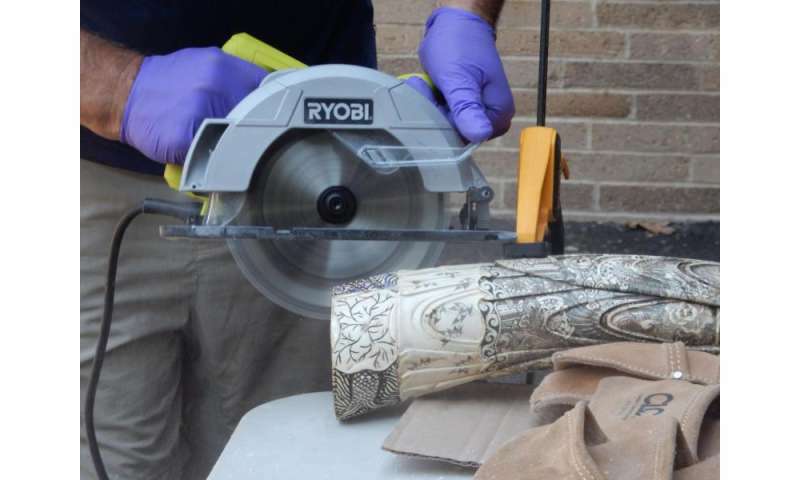 By isolating the collagen in a tusk sample, then freeze-drying it and running it through an accelerator mass spectrometer, he is able to measure the amount of radiocarbon in the tusk to determine when an elephant was killed, post-1950. Results from a tusk harvested prior to 1950, Wasser clarifies, "are going to look a lot like 1796," because they lack that spike from weapons testing. Wasser's focus is on DNA; his lab at the University of Washington developed methods for extracting DNA from feces, and later from the tusks themselves. The density of DNA in tusks is low, so typically he needs to take several extracts from a processed sample and pool them together before running them through PCR (polymerase chain reaction) for analysis. From this, he can figure out where an elephant was killed; "often," he told the New York Times in 2016, "to the very park or reserve." 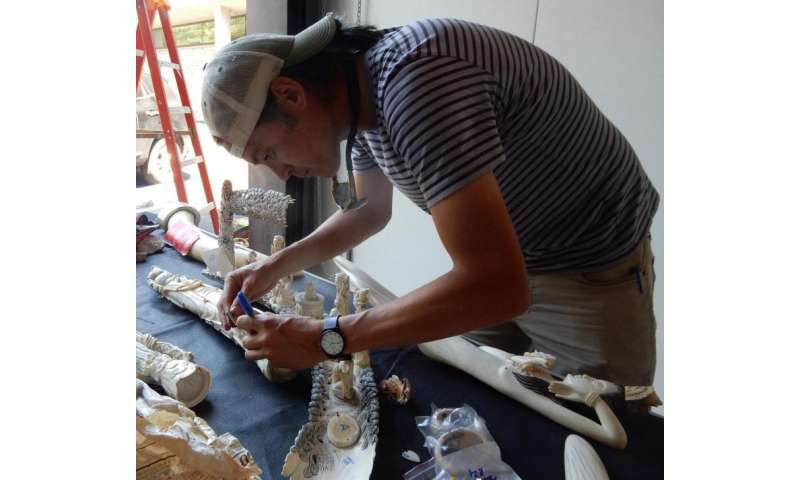 Both Uno and Wasser take their samples from the base of the tusks; while an elephant is still alive, there is a large piece of soft tissue there that delivers nutrients and houses the odontoblast—the cell that creates dentin. The most recently created layers of ivory will be in that area, Uno explains: "This is the ivory that was forming on the day that the elephant died. This is the end of its life." Speaking at Ivory Crush last week, Commissioner of the New York State Department of Environmental Conservation Basil Seggos was adamant, saying, "These are terrorists and gangs that that deploy in a combat fashion, gun down animals with automatic weapons, use chainsaws to remove ivory from the elephants themselves. Then the traffickers in the world market are moving this material, moving it in different ways, and moving it into places like New York City, right here, right under our noses, into fine art dealerships on 5th Avenue." Forensic science is a relatively new addition to the effort to stop these networks, and advocates are arguing for more expanded use of it, from training rangers in crime scene analysis to encouraging the expansion of techniques like Uno's and Wasser's. 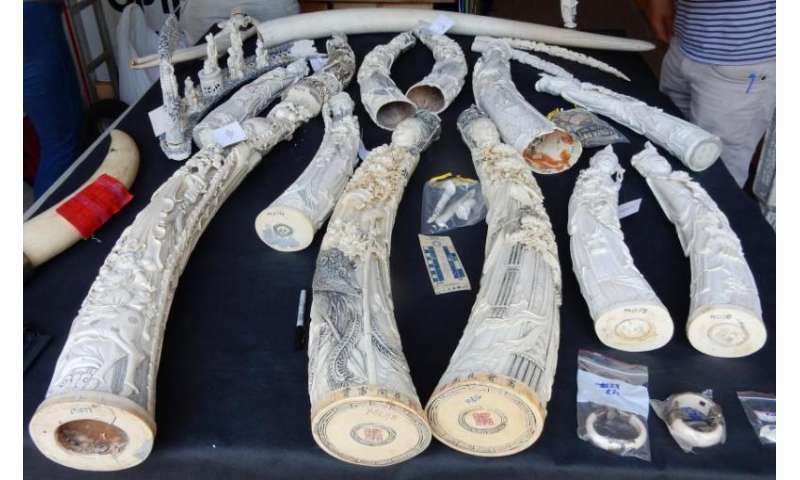 In its 2016 Report on the Elephant Trade Information System (PDF), CITES concludes that more work like theirs is needed to address these crimes, writing that "scaled-up forensic examination to source ivory is needed as most large seizures are not being examined in a timely manner."